Process Monitor is a powerful tool that might help you speed up your machine! - Ask Leo! 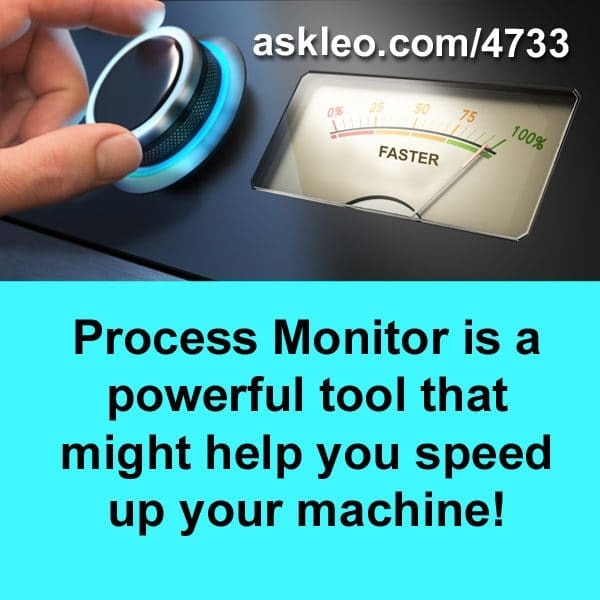 Process Monitor is a powerful tool that might help you speed up your machine! Thunderbird – A Free, Open Source, and Powerful Email Client - Thunderbird is a robust and powerful email program that can meet the needs of both light and power users. I use it all day every day. « Previous post: You would defeat the purpose of an SSD by not installing your software on it.